Activity locations | "Mom, are you a chemist, too?" Location based distribution of the 700 participants is shown on Fig. 1. Detailed list of educational institutes, community centres and science festivals hosting the chemistry activity are collected in Table 1. Type of the institutes, number of performed activities and participants are also presented. 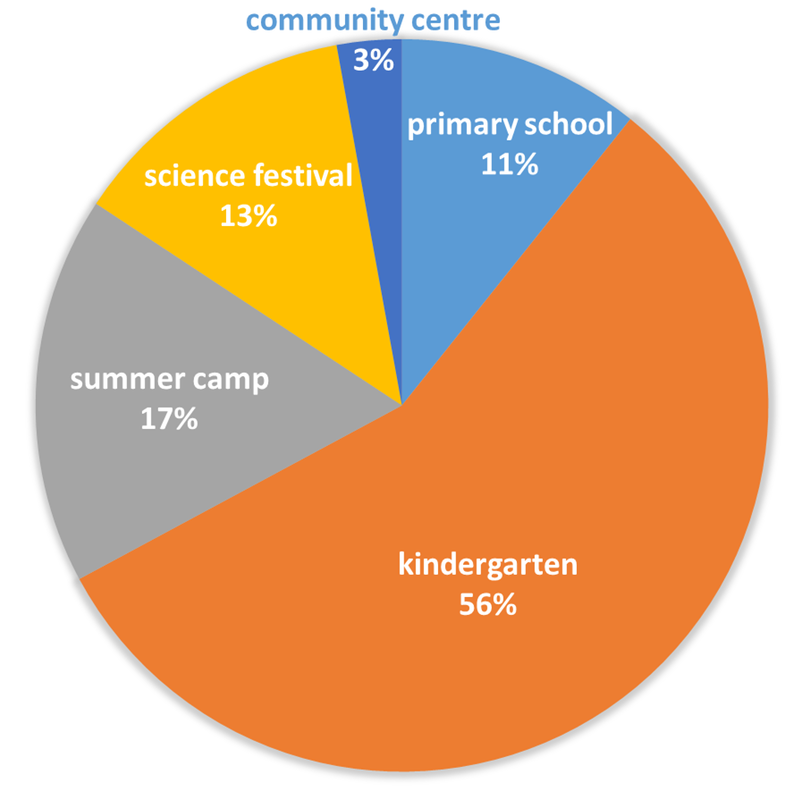 The majority of the activities are performed in kindergarten. 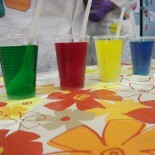 Summer camps and community centre participants are at primary school age and science festivals hosted children both from kindergarten and primary school.